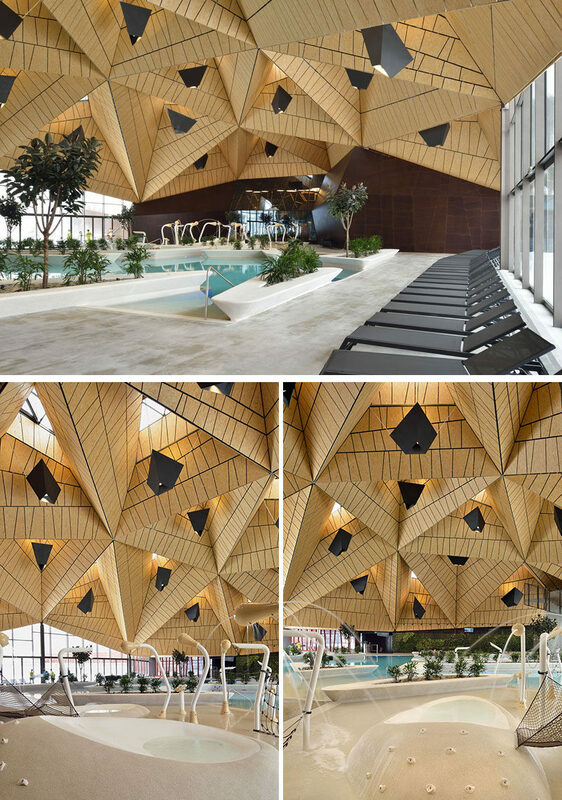 Architecture firm ENOTA, have recently completed Termalija Family Wellness, a modern thermal spa that was once a classic health centre, that was originally built in the 1980s. 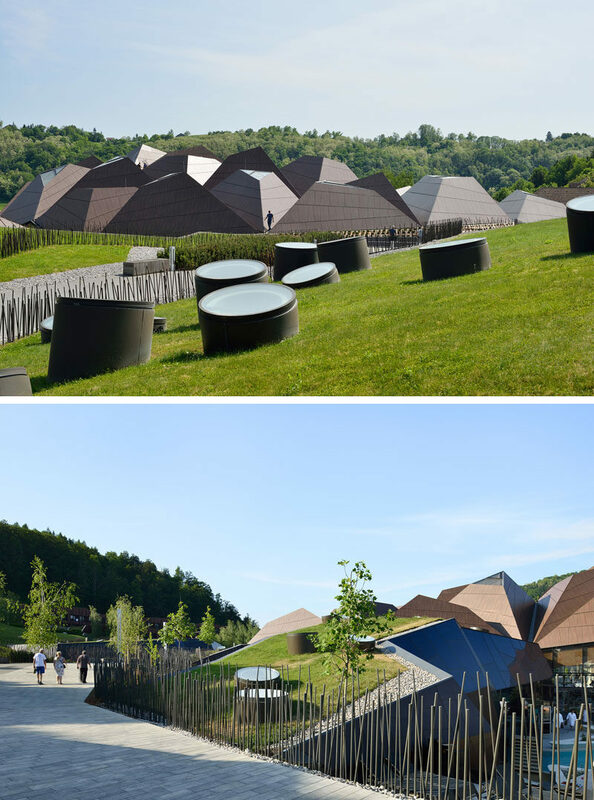 Located in Podcetrtek, Slovenia, the wellness center was somewhat built into the landscape, with the roof divided into sets of smaller segments to prevent its scale from overwhelming the surroundings. 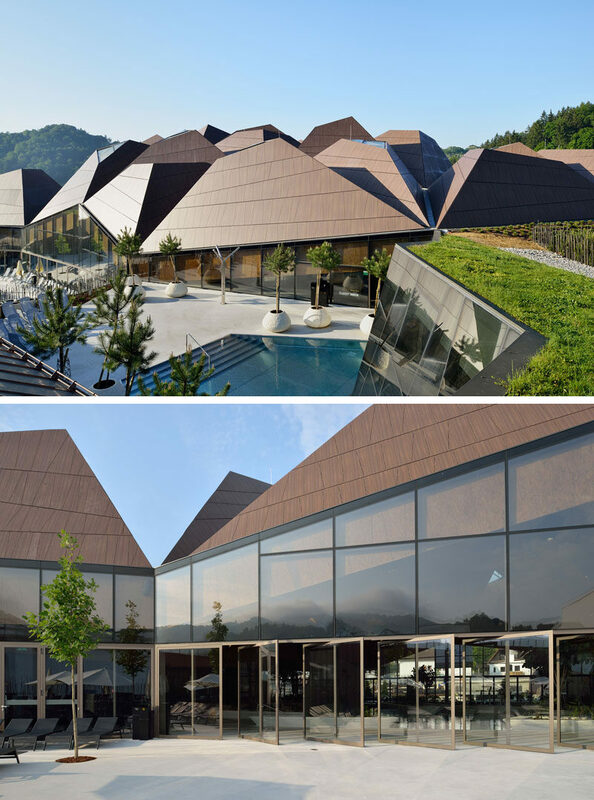 When viewed from a distance, the shape, colour, and scale of new clustered structure of tetrahedral volumes is a continuation of the cluster of the surrounding rural buildings. 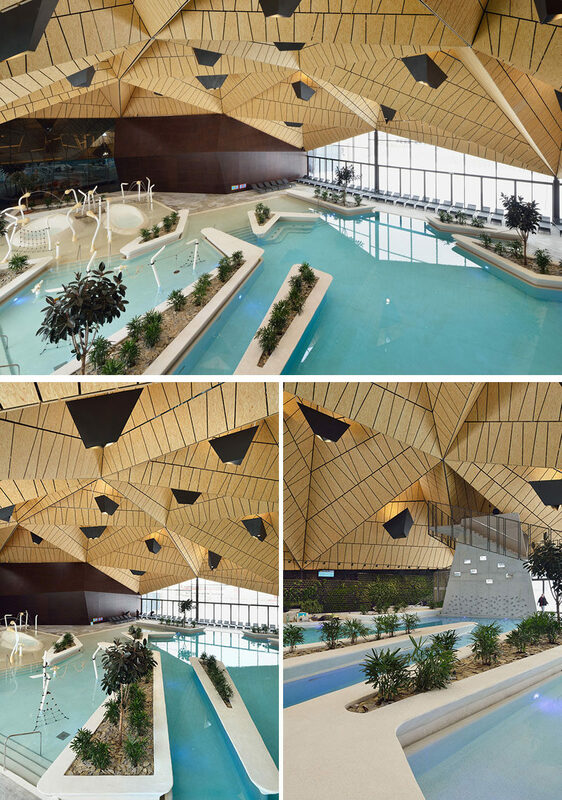 Inside, the tetrahedral shapes allowed the entire pool space to be covered virtually without supports. 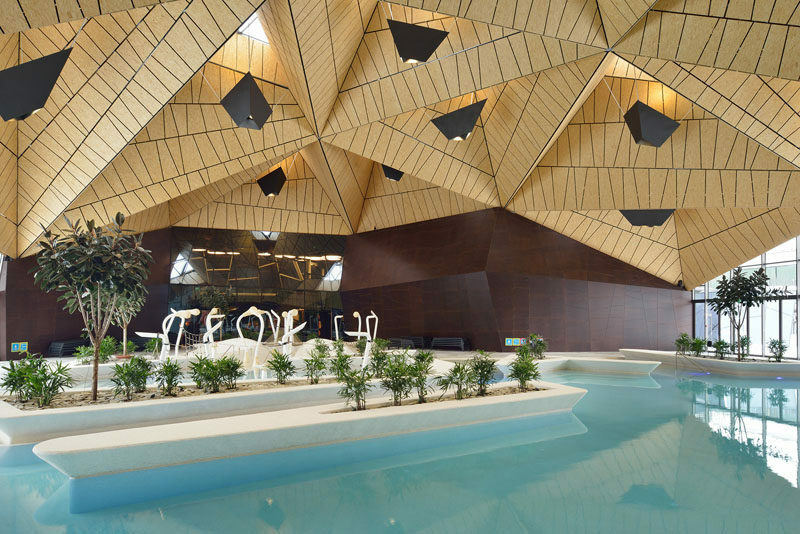 Numerous skylights in the roof, together with the ability to fully open all the facade glass surfaces, enable the guests to seamlessly pass through the interior of the building to the exterior, all year round. Despite its size and the space it occupies, the new roof acts as a big summertime sunshade and does not take over any of the exterior space. 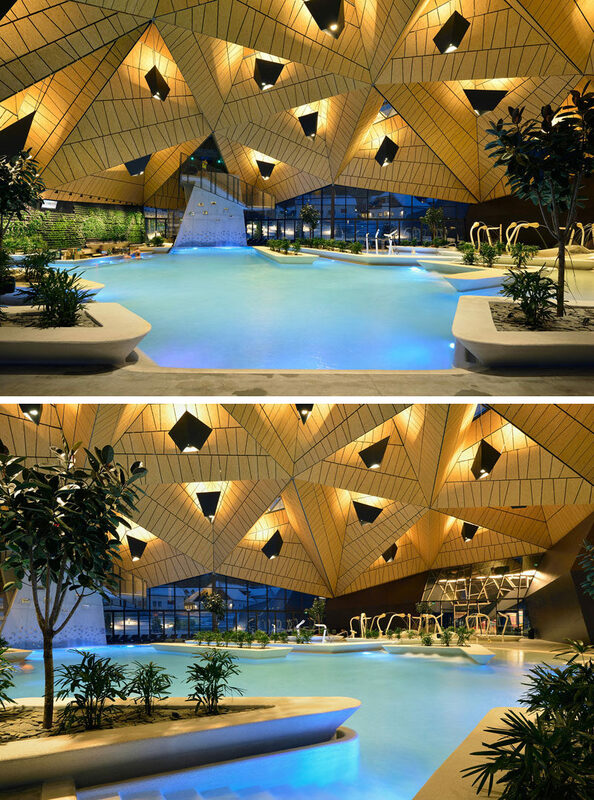 At night, lighting highlights the thermal pools and the design of the roof.